Lightning Tikes is a fun, exciting interactive program to teach children of all ages to STAY SAFE! Warrior Storm Self Defense and Leadership Academy has developed a curriculum that uses traditional martial arts techniques to teach self defense and leadership skills to children. The unique Bully/Predator Awareness & Avoidance Program teaches children to detect potential threats to their safety and then to safely and actively avoid situations, people and locations that might be harmful to their well being. The Leadership Program emphasizes values such as respect, honesty, focus, self-control, perseverance, and confidence. These values empower children to have a healthy self image, respect for themselves and others, and to truly succeed as a champion in life! Many people ask if we teach traditional martial arts such as karate and tae kwon do. We do incorporate techniques from these traditional arts but we feel that the sport of martial arts is not for every child. On the other hand, EVERY CHILD can benefit from basic self defense. EVERY CHILD needs to be able to recognize a bully, know what to do if they encounter a bully or if they see someone else being bullied and how NOT to become a bully! EVERY CHILD needs to know what to do if they are in danger and what to do to attract the attention of others that can provide immediate help. EVERY CHILD needs to know how to show respect to themselves and others. EVERY CHILD needs to know that by using self-control they are able to achieve many things. EVERY CHILD needs to know that focus is important when breaking a board and solving a math problem. EVERY CHILD can benefit from having the confidence to speak effectively in front of others. EVERY CHILD needs to recognize the importance of honesty even if faced with punishment. Most importantly, EVERY CHILD can benefit from being enrolled in the LiGHTNiNG TiKES PROGRAM! Joye Petty is the executive director and founder of Warrior Storm Martial Arts, LLC. Joye’s martial arts training beganwhen she was a teenager. She fell in love with the discipline, physical awareness, and mental focus that is required in martial arts. Initially trained in tae kwon do, she achieved the rank of third degree black belt. She currently cross trains in various other martial arts styles and actively continues her education by attending and conducting training classes throughout the United States. Joye is a graduate of Texas A&M University with a BBA in Accounting and a BS in Economics. Both of her children were adopted from a small orphanage in Russia. She worked for European Adoption Consultants (EAC) for ten years. In addition to being a top speaker and presenter throughout the state of Texas, she facilitated over 400 international adoptions as the regional director for EAC. Joye’s love of children was evident in her many years as an adoption specialist. It was a natural progression for her to combine her love of children with her martial arts enthusiasm! Her main priority is for everyone to STAY SAFE! 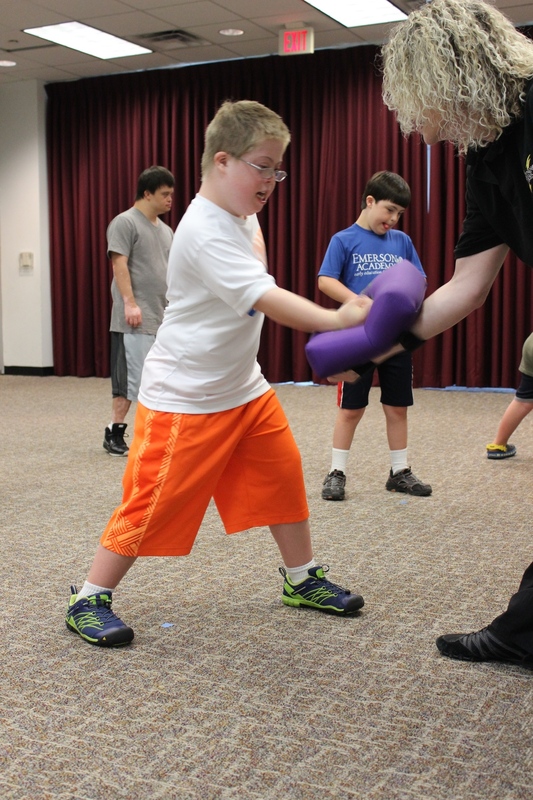 So by providing a unique program for all children to learn basic self defense and leadership skills, she is fulfilling her lifelong passion!